We initially drove along the Haines Highway as we made our way from Haines, Alaska to Haines Junction, Yukon while completing the Golden Circle Route. It was the only foggy day on our trip, and as we re-entered Canada, we would occasionally be teased by brief glimpses of the landscapes that were obscured by the fog. Having approached this vacation as a “once in a lifetime” opportunity, it wasn’t long before I was trying to devise ways to retrace this section of our voyage. That opportunity came when we set off to participate in a white water rafting trip on the Tatshenshini River. The base for the rafting trip was well along the way down the Haines Highway (approximately 100 of the 150kms would have already been driven), and we decided that if after the rafting trip we weren’t too tired, we might as well drive the extra 50kms to get to the summit of the Haines Highway. 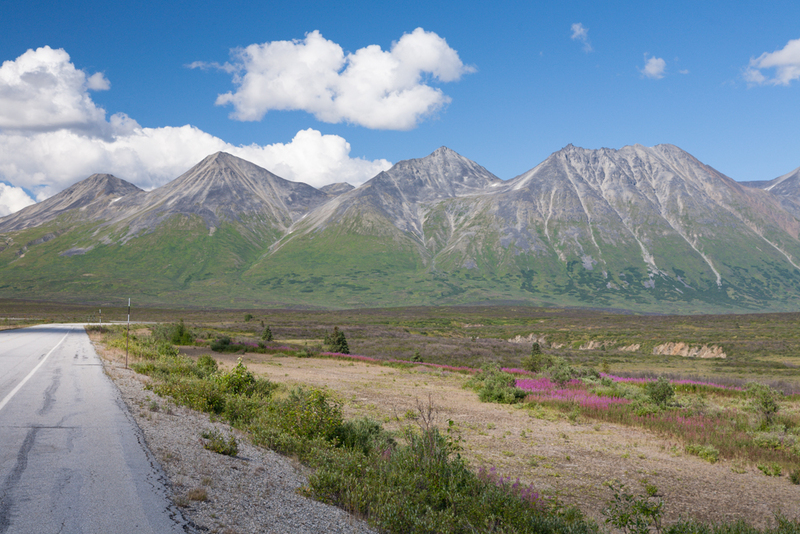 The Haines Highway is one of those special places where you can pull over almost anywhere quite safely, and stare in awe at the landscapes that surround you. You might not hear the sound of an approaching vehicle for 15 minutes or more, making the experience that much more enjoyable. The gallery below is a testament to the beauty of this stretch of road. You can read more about our trip along the Golden Circle Route here.